“We're very happy with Nextera's fixed wireless. It maximizes our data throughput and minimizes downtime." Great Northern Equipment (GNE) is a national distributor of small engines and power equipment serving customers across the country. They host eight busy websites, including four business-to-business portals for dealer networks, two internal websites and two e-commerce sites where customers purchase products. With traffic moving through GNE's websites 24/7, Internet downtime is a costly prospect. 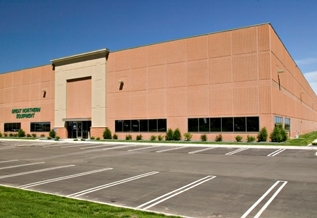 Great Northern Equipment Headquarters are located in Rogers, Minnesota. The company also has a branch in Garland, Texas. GNE's Director of IT, Greg Clemens, sought solutions to eliminate or minimize downtime occurrence while increasing Internet speed. The company already had Fiber and DSL networks supplied by a single vendor, but Clemens wanted Internet that wasn't vulnerable to downtime issues that can occur with traditional delivery methods and wanted diversity across multiple vendors. He found what he was looking for by adding Nextera's fixed wireless to the company network almost four years ago. "Nextera's fixed wireless is a great thing," said Clemens. "It provides genuine disaster failover because it's going through the air -- it is true redundancy. If a cable happens to be cut, it would take down the Internet in other companies. But with fixed wireless we don't have to deal with any of that." "Using Ecessa's load balancing and failover product, when the company's Fiber goes out the transition to more reliance on fixed wireless is so seamless, customers and employees aren't aware when it occurs. And GNE now has the bandwidth power needed to quickly serve customers and dealers without frustrating upload and download issues. "We couldn't afford a traditional 100 Meg circuit, so after adding 4 Megs of Nextera's fixed wireless to the mix we benefitted by gaining bandwidth and redundancy, which we're very happy about," said Clemens. "Communication lines generally aren't cheap," said Clemens. "But Nextera really gives us the most bang for the buck. We're very happy with the cost, it fits into our budget well. I have to say our customer experience has been excellent: the installation was painless and didn't take long at all; customer service has been knowledgeable and quick to respond; and Internet performance is as streamlined and fast as fiber." "I would highly recommend Nextera's fixed wireless as both a primary Internet service as well as for redundancy. We couldn't be happier with the product, service and the whole Nextera crew." Learn more by visiting http://www.gnedi.com/Public/Company.aspx. Great Northern Equipment is a wholesale distributor of small engines and power equipment. Founded over 30 years ago in Nisswa, Minnesota, the company has grown from a small business with eight employees to a current staff of over 90. Their headquarters are now located in the Minneapolis suburb of Rogers, Minnesota and in 2012 a new company branch was added in Garland, Texas to better serve their growing number of customers across the United States. They strive to provide their clients with the best products, prices and customer service available. They offer the highest quality of products and trusted brands to the hardware, lawn and garden, rental. agricultural and power equipment industries with a portfolio that includes the following companies: Great Northern Equipment, Dosko, Signs + Banners, JRCO, K&M Manufacturing, Brave Products, CEI Supply, Iron & Oak and Perma-Wrap™. GNE also carries top-of-the lines brands like Banjo Pumps and Industrial Air Contractors, and takes pride in servicing local dealers, rental stores, big-box stores, hardware co-ops and national accounts. Nextera Communications deployed four Megs of fixed wireless, with symmetrical upload and download speeds. For further details about fixed wireless and other Nextera services, check out the links below.